Considering your most valuable assets are your employees, guests and clients, enhancing the beauty and integrity of your washroom facilities which they use daily is of paramount importance. 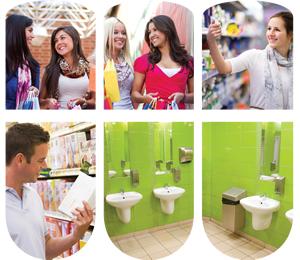 RMC's trained service team will help create a safe and pleasant washroom user experience. This will also extend the life of your facilities and keep it well maintained.